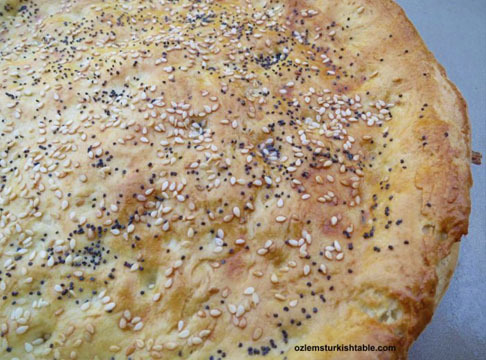 Bread, ekmek is a major staple in Turkish cuisine and appears generously at breakfast, lunch and dinner. Bread is treated with high respect and rarely wasted at home; stale bread is used in spreads like in this Walnuts and red pepper paste dip, Muhammara – Cevizli Biber, in soups as well as in puddings. 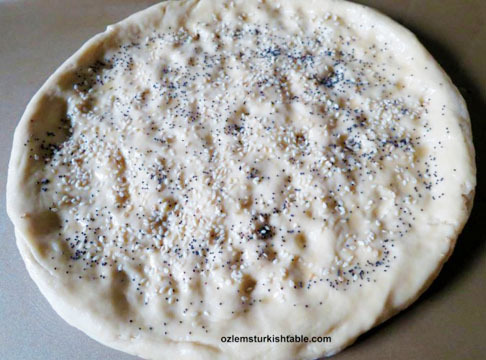 Traditional oval or round pide bread, Ekmek, is a national favorite, traditionally cooked in hot clay oven. Pide bread is also a must in Turkish tables and highly consumed during the Ramadan period to break the fast. I have lots of fond childhood memories of strolling through Uzun Carsi, Long Market in Antakya to pick up the freshly baked bread and how delicious it was. Grandma would always order a spare one as she knew we had a soft spot for pide bread and half would be gone on the way home – just irresistible. Stretch the dough into large uneven rounds and indent the dough with your fingertips. Turkish pide bread, pide ekmek, straight from the oven. 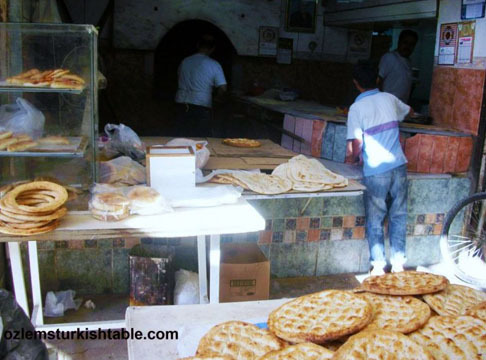 Firin bakery in Long Market Uzun Carsi fond memories of getting our daily bread from there. Cream the yeast with sugar in half of the lukewarm water, leave to froth. Sift the flour with the salt. Make a well in the middle and pour in the yeast, olive oil, yoghurt and the rest of the water. With using your hands, draw in the flour from the sides and work the mixture into a sticky dough. Add a little more water if necessary. Knead until the dough is smooth and leaves the sides of the bowl (drizzle a little oil in your hands to help shape the dough, if needed too). Continue to knead on a lightly floured surface until the dough is elastic and smooth. Roll it in the few drops of olive oil in the bowl, cover with a damp towel and leave to prove in a warm place for 1- 1 ½ hours or until doubled in size. Once doubled, punch the dough down, knead again and divide it into two pieces. Knead each piece well. Flatten them out with the heel of your hand and stretch them into large, uneven rounds or ovals, creating thick lip around the edges. Indent the dough with your fingertips. Lightly oil two hot baking sheets and place them in the oven for 2 minutes. Place the pide on them and brush the pides with the beaten egg. Then sprinkle the nigella (or poppy) seeds and sesame seeds over the top. Bake the pides for 18 – 20 minutes, until lightly golden with a crisp crust around the edges. Transfer them to a wire rack. 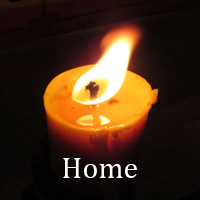 If you want them to retain their softness, wrap them in aluminium foil or in a dry towel while still warm. To keep the pides soft and warm, place a dry towel over them when fresh out of the oven. You can also reheat them before eating; just sprinkle them with water and place in a hot oven (180 C/ 350 F) for a few minutes.